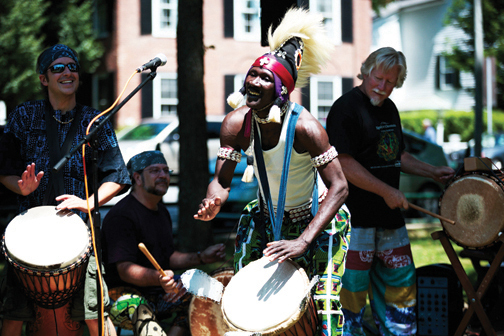 With Sayon Camara & Landaya at Barrett Memorial Hall in South Strafford VT from 8:00 – 10:00 pm and then some! The irresistible polyrhythms of this West African ensemble combined with Sayon’s expert hands on the djembe and haunting melodies on traditional flute will get you up and dancing! This is a fundraiser for Barrett Hall, a historical community building with great wooden floors and lots of room to move. This entry was posted on Sunday, November 9th, 2014 at 7:23 pm	and tagged with african, camara, Dance, friday, landaya, music, nh, November, sayon, vt, west and posted in Teaching. You can follow any responses to this entry through the RSS 2.0 feed. « West! Washington and Vancouver… Starts Saturday November 1!